Entry by Dove on Wed Feb 20 15:03:26 2013.
wats the name of the girl wit the pink hat? This is Touko, but we can call her White as well. I didn't expect this picture to get so many favs. 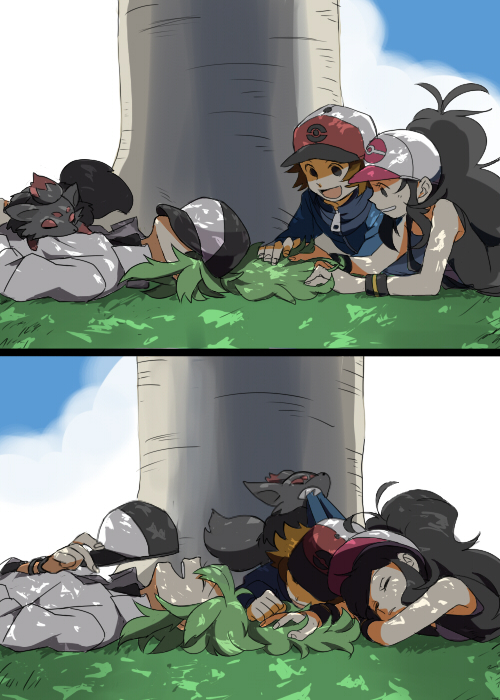 Zorua's probably like "Hey get away from White she should be with N!" and N's just laughing at it.